From A-list celebrities to the girl next door, everyone seems to be adopting the glamorous hair color trend known as ombre. In French, the word literally means "shaded," but in hair terms, the service refers to the transition from a dark to a light color. When you opt for this service at Hair Loft Studio, your hair will be lighter at the ends and darker at the roots. If you want a head-turning hair color, look no further than our professional stylists. To ensure that your new hairstyle will complement your natural hair color and skin tone, we'll always begin the service with an in-depth consultation discussing everything from your desired hair color to preferred length. Whether you would like hair that is just a few shades lighter or a dramatic shading effect, our expert stylists will make sure that you'll receive the exact hairstyle that matches your needs. The ombre is an absolutely gorgeous look, but the coloring needs to be done right to achieve an attractive shading effect. Our professional stylists begin the service by coloring the base of your hair first. After the base color is applied, the highlights will be added to your dry, clean hair by using a hand-painting method. Many clients would agree that the painting application produces much more refreshing results than the standard foils. Along with obtaining a hairstyle that is sure to turn heads as you strut down the street, the beauty of this service lies in its easy maintenance. As compared to other popular highlighting options, our New Orleans Ombre offers a much longer grow out period. 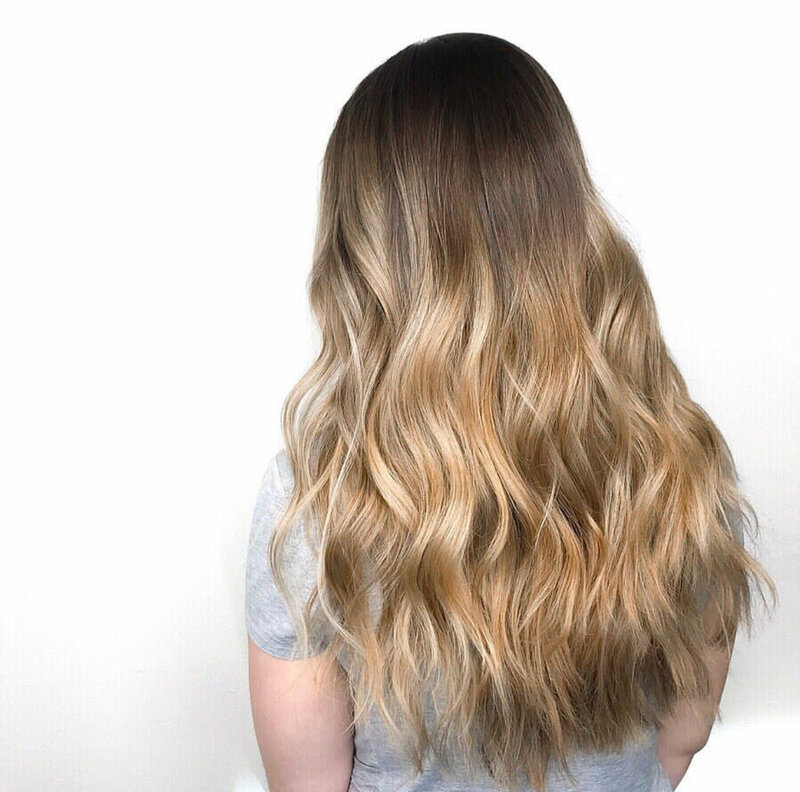 Instead of continuously scheduling appointments to touch-up your roots, you'll be able to let your roots grow out all you want, and your new hairstyle will still look fabulous! We will also recommend premium products to ensure that your hair always stays healthy and shiny. Book Your New Orleans Ombre Today! Dying for a New Orleans Ombre? Make an appointment today at Hair Loft Studio in New Orleans. Keep in mind that a thorough consultation is required prior to determining the cost of this service.